The Blaine County School District board of trustees is sticking to its guns about announcing executive sessions that are closed to the public. "I just want everyone to know that there is always a business reason for these executive sessions and they are always conducted within the law," Board Chair Steve Guthrie said at a school board meeting Tuesday. Board members discussed their executive session announcement policy at the meeting because of concerns raised in a Nov. 30 story in the Idaho Mountain Express. The story questioned whether the board was in compliance with the Idaho Open Meeting Law because announcements about executive sessions do not specifically state the reasons for the meetings. The law requires that both a reason and a legal justification be stated in a meeting announcement publicly released at least 24 hours prior to the meeting. However, the school board has taken the position that the reason for meetings is covered in the legal language used for the justification. For example, executive sessions called for the purpose of considering student expulsions are noticed as being held "to consider the evaluation, dismissal or disciplining of, or to hear complaints or charges brought against a public officer, employee, staff member or individual agent or public school student." Earlier this month, the board held an executive session to consider a real estate acquisition and used statute justification language stating that the purpose of the meeting was "to conduct deliberations concerning labor negotiations or to acquire an interest in real property." Idaho Attorney General Lawrence Wasden has not specifically addressed the Blaine County School District situation, but has released overall guidance regarding meeting announcements, stating that meeting notices "must specifically set forth the purpose of the meeting and items of business" and that "agenda items should be listed with specificity and not buried in catchall categories." The school board has recently increased its frequency of executive sessions. So far during fiscal 2012, the board has met in closed session on nine occasions, one in July, six in November and two thus far in December. Board Vice Chair Don Nurge said at Tuesday's meeting that the three most common reasons for executive sessions are to consider student expulsions, personnel matters or property acquisition. Nurge said he has looked into the issue further following the Express story and is still convinced that the district executive sessions are being announced in compliance with the law. 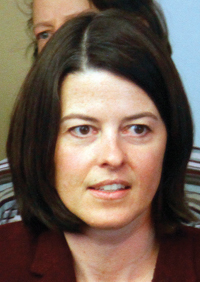 "We conduct these meetings in accordance with Idaho Code, and I have verified this with several attorneys, including our own legal counsel," Nurge said. "We as a board do not believe that it is in the interest of any of the parties involved in a closed executive session to specify beyond the notice requirements as per Idaho law, the reasons for the meetings. We do value transparency and open meetings, but not above privacy and confidentiality, especially in matters of students and personnel." Nurge said the district's executive-session announcements conform with closed-meeting announcements by other school districts in Idaho. In other business, the board unanimously approved a new communications plan that describes how the district will communicate with employees, the public and the news media. The plan was made available earlier this month for public review and comment. District Communications Director Heather Crocker said 47 people reviewed the plan but only two offered comments. Crocker did not discuss the two comments, but told the board that the plan contains all the elements of typical communications plans developed elsewhere. District Superintendent Lonnie Barber described the plan, written by Crocker, as "impressive." Trustee Paul Bates said he liked the plan because it contained a provision for developing a communications advisory committee that would provide guidance and help implement the plan.